I’ve been occupying my time trying to turn out some art pieces for Valentine’s. I focused on red, love and hearts. I managed to make 7 pieces in about a week and half. That’s a record for me. I noticed that with a guiding theme to work with, ideas seemed to flow more easily to me. I also learned how to work with the little resources that I had for every piece. This impacted the over all look of each of the pieces themselves. The idea of how what is available to us shapes and influences our lives in many small ways is interesting to me. It makes me consider how much of our life calls for ingenuity and adaption, spontaneity. I had this fused glass pendant for a long time wondering if I’d ever use it and then it hit me. ‘Hey, this looks kinda like a heart shape! 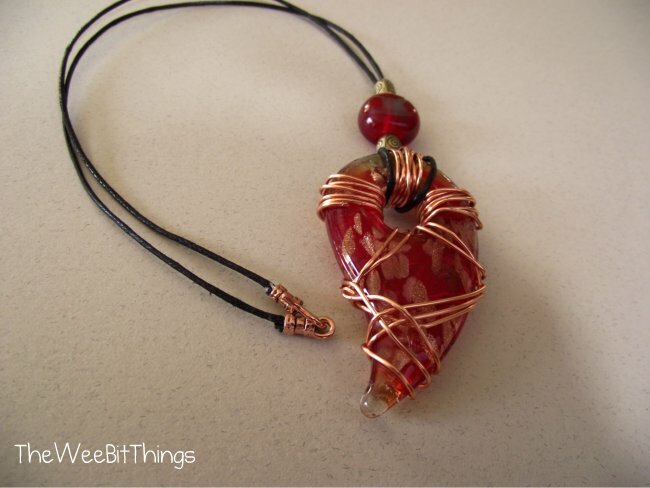 An abstract heart shape.’ I added some elements to it to enhance it a bit, like free form wire wrap. 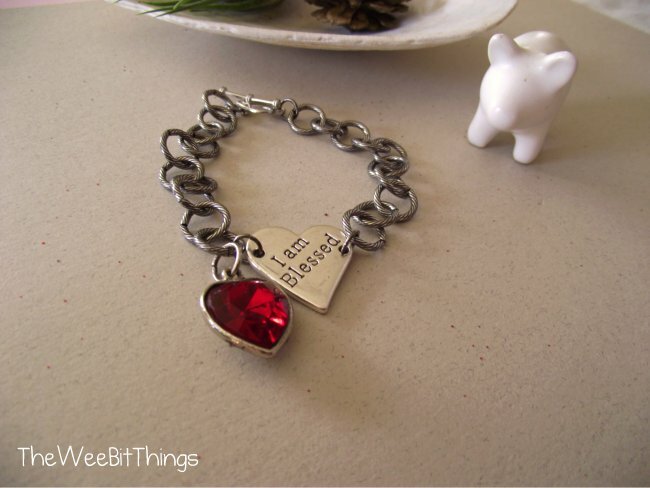 This heart charm bracelet below is upcycled. 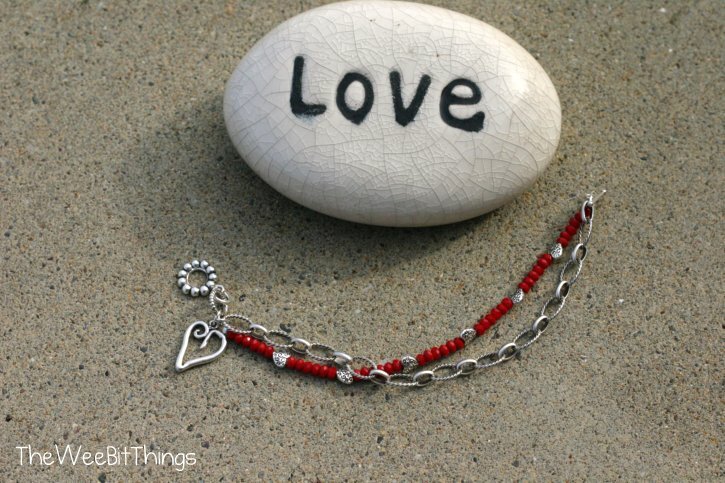 The heart charms come from other bracelets but the chain is new. The toggle is new, too. Although this picture doesn’t show it, the toggle is a heart as well. This was very easy to make.The style is simple and classic. I always love this kind of bracelet. I needed some earrings in the mix so I again used what I had on hand. 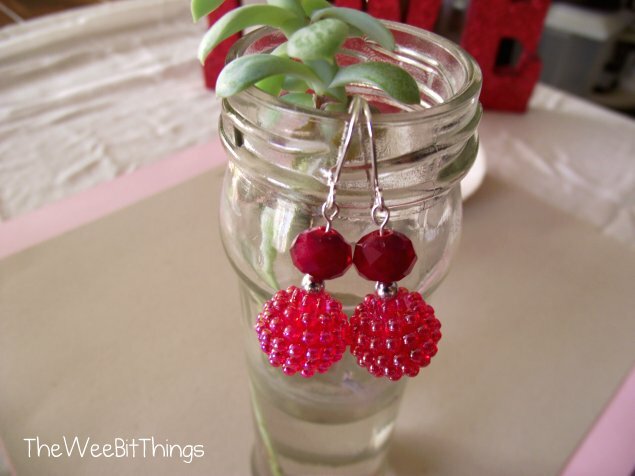 For the earrings below, the deep red beads are crystal. The bottom bubbles-all-over bead added some fun. These are so yummy looking that I want to eat them! Kinda remind me of berries. 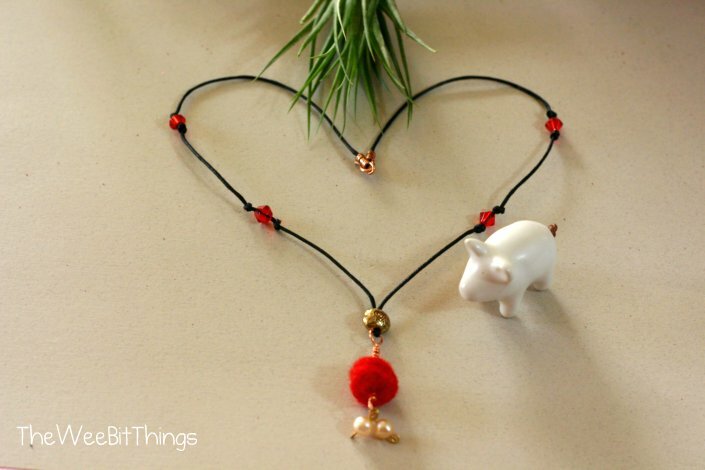 The necklace below features a little red felt ball with small golden fresh water pearls hanging from it. The first thing I made was the small felt ball. I got the idea to try to use it in a jewelry project. The first thing I did was stab the little felt ball with a copper loop. It stayed stuck with a copper loop in it for awhile before any other ideas came to me on what to do next. Anyway, it all came together! This bracelet was the last thing I made. I’ve been wanting to use more chain in my projects and this piece gave me a chance to do just that. The center focus of this project began with a small but very important piece — that’s the sterling silver artisan heart. It started with one little piece, the heart. 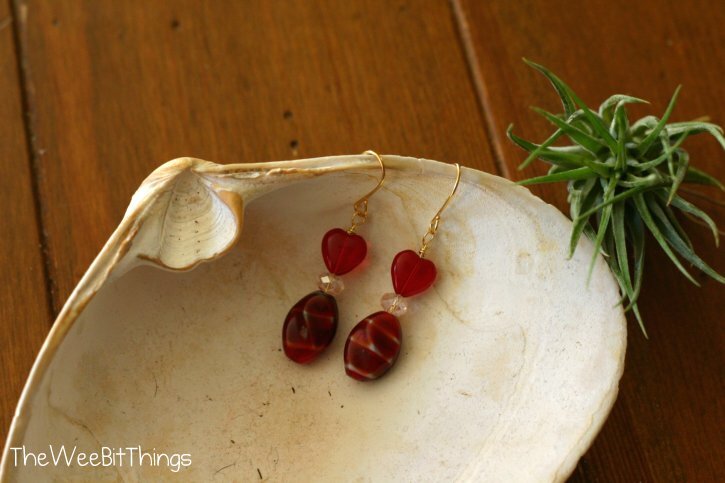 And the last pair of earrings … all heart. The crystal beads are actually pink and the bottom bead is a vintage bead with dents and grooves and a cool pattern on them. 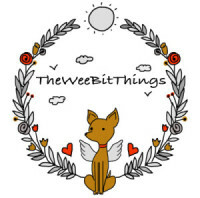 Thanks so much for checking these out. Have a love-filled Valentine’s Day!